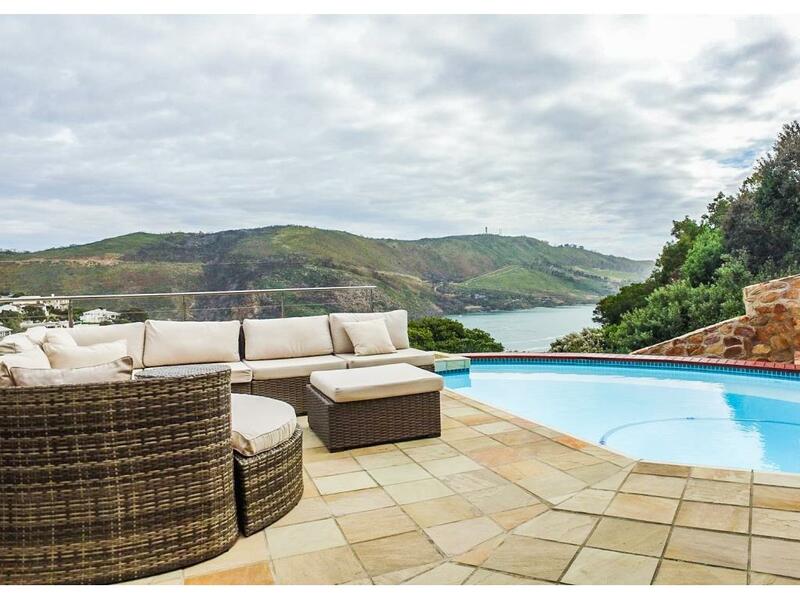 Spectacular views from this immaculate home on the Heads." This beautiful home has unbelievable views. Lovely entertainment area with built in braai, lagoon views and sparkling pool. The Kitchen is open plan with the TV Room and dining room. The bedrooms are light filled and spacious, and every bedroom has external doors opening onto the balcony with spectacular views. The floors in the house are blackwood floors. The House and bedrooms have lovely built in cupboards, and the Main Bedroom en-suite bathroom is very spacious, there is also an outdoor shower off the main en-suite. The house is equipped with Aircon, 24 hour Security and Alarm system. Spectacular views from this immaculate home on the Heads.